1. Front Line Defenders regrets that since its last UPR review in 2014, human rights defenders (HRDs), including women human rights defenders (WHRDs), in Iran continue to be subjected to severe persecution and reprisals as a result of their legitimate work. Draconian restrictions on the rights to freedom of expression, association, peaceful assembly and movement of HRDs continue to be prevalent. HRDs continue to face harassment, arbitrary arrest and detention. They are subjected to systematic surveillance and their family members are targeted. Judicial harassment is one of the most common tactics used to silence HRDs and independent voices. The Penal Code includes several vaguely-worded offences against the state, the Supreme Leader and religion that have been used to criminalise the work of HRDs and human rights NGOs. Charges of ‘acting against national security’, ‘propaganda against the regime’, or ‘enmity against God’ are often used to punish HRDs with harsh prison sentences. Many are convicted in the absence of their lawyers, on the basis of "confessions" extracted under torture. Detained HRDs are routinely ill-treated, subjected to solitary confinement, denied adequate medical treatment and visits by family members, and forced to confess their alleged crimes under duress. 2. The legal framework regulating the activities of NGOs and civil society at large remains restrictive and, in practice, is used as a tool to control human rights groups. According to the 1981 Law on Political Parties, Societies and Guild Associations, and Islamic or recognised minority religious associations, NGOs’ licenses can be suspended or dissolved if they ‘violate Islamic principles and the foundation of the Islamic Republic’, ‘spread anti Islamic propaganda’, ‘disseminate damaging books and publications’, ‘engage in any kind of communication, exchange of information, collusion and conspiracy with embassies, representative organs of governments and political parties of foreign countries’, ‘harm the freedom, sovereignty, national unity or interests of the Islamic Republic of Iran’, or receive any financial help from foreigners. Additionally, under the Labour Code of the Islamic Republic of Iran, the establishment of independent trade unions other than the government-sanctioned Islamic labour councils is not permitted. The Code provides for certain criteria and screening procedures to ensure that the representatives of workers, elected for the boards of these councils, are faithful to the rule of the Supreme Leader. 3. Over the past five years, Iranian authorities continued to prosecute, try and convict HRDs. Several HRDs including WHRDs, lawyers, environmentalists and child rights defenders received lengthy prison sentences for their peaceful activism. HRDs have been charged with broad and ambiguous security laws, espionage or blasphemy. The case of WHRD and lawyer Nasrin Sotoudeh is an exemplary case of the punishment imposed on HRDs. On 11 March 2019, she was sentenced to 33 years in prison and 148 lashes on seven charges including ‘inciting corruption and prostitution’ ‘openly committing a sinful act for appearing in public without a hijab’, ‘disrupting public order’. On 15 August 2018, she was also sentenced to five years in prison in absentia on charges of ‘espionage’, ‘propaganda against the state’ and ‘assembly and collusion against national security’. 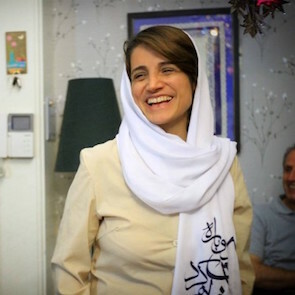 Nasrin Sotoudeh has been detained sine June 2018 and her detention and trial were in response to her active membership in LEGAM, an NGO opposed to the death penalty, her representation of women arrested in Iran for peacefully protesting against the compulsory hijab (veiling) law and for her critical comments on the Iranian judiciary. 4. 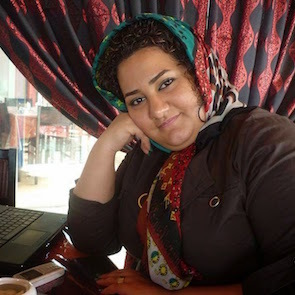 In May 2015, a Revolutionary Court in Tehran sentenced WHRD and anti-death penalty activist Atena Daemi to 14 years in prison. At an appeal hearing on 28 September 2016, this sentence was reduced to seven years. The WHRD was taken into custody to serve her sentence on 26 November 2016 by Revolutionary Guard officials. She was charged with ‘propaganda against the regime’, ‘collusion against the regime on the basis of holding demonstrations in support of the children of Kobane in Syria’, ‘insulting the Supreme Leader of Iran’ and ‘blasphemy in connection with listening to Iranian rapper Shahin Najafi’s protest songs. The case against her was partly based on posts she had made on Facebook. 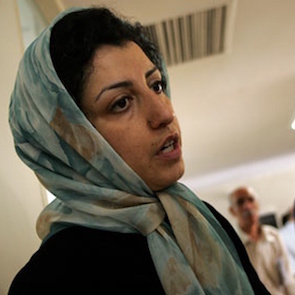 In May 2016, Branch 15 of the Revolutionary Court sentenced WHRD Narges Mohamadi to 16 years’ imprisonment on several counts including ‘membership in the [now banned] Step by Step to Stop the Death Penalty’ group, ‘taking part in assembly and collusion against national security’ and “committing propaganda against the state’. 5. Judicial harassment has been also used in reprisal against HRDs for collaborating with international human rights mechanisms. 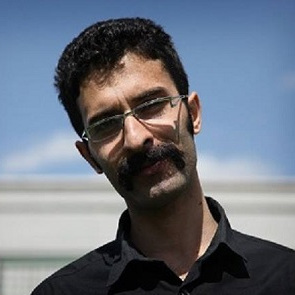 For example, children’s rights defender Saeed Shirzad was arrested on 2 June 2014 and sentenced to five years in prison in Gohar Dasht Prison (Rajai Shahr) after being charged with ‘gathering and colluding with intent to act against national security’. He was also accused of collaborating with Dr Ahmad Shahid, the former UN Special Rapporteur on the Situation of Human Rights in Iran. 6. Members of trade unions who advocate for labour rights have been under imminent threat of prosecution and imprisonment. 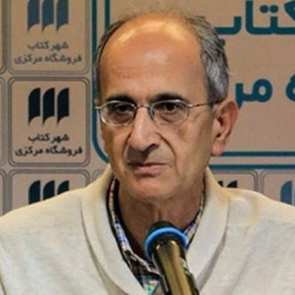 For example, in August 2018, member of the board of directors of the Teachers’ Trade Union, Mohammad Habibi was sentenced to seven and a half years imprisonment for “collusion against national security”, 18 months imprisonment for “propaganda against the regime” and 18 months imprisonment for “disrupting public order”. He also received a two year travel ban, along with a ban from participating in any political or union activity for the same amount of time. Habibi’s case is part of the ongoing repression of labour rights defenders in Iran, which has intensified since 2018. The majority of the labour rights’ defenders have been protesting the poor working conditions contained in their contracts and extended periods of unpaid wages. Since the beginning of 2018 labour rights demonstrations have taken place in various Iranian cities, which have frequently been disbanded by state security. 9. There have also been numerous cases of medical negligence in detention, torture, and prisoners being transferred an excessive number of times. Since 2017, many imprisoned HRDs, including WHRDs, launched prolonged and life threatening hunger strikes to protest their appalling prison conditions, their arbitrary detention or unfair trials. 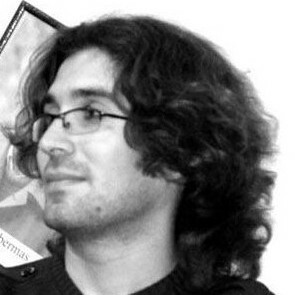 For example, the health of student rights activist Arash Sadeghi, who is currently serving a 19-year prison sentence, has seriously deteriorated after he went on hunger strikes in October 2016 and February 2018 to protest the imprisonment of his wife WHRD Golrokh Ebrahimi Iraee and her inhumane treatment in prison. WHRD Narges Mohammadi wrote an open letter from Evin Prison, published on 18 February 2018 by the Centre for Human Rights in Iran, in which she highlighted an unfair trial, arbitrary detention and poor prison conditions. The letter particularly criticised the practices of lengthy sentences, solitary confinement, and excessive prison transfers. Children’s rights defender Saeed Shirzad's life remains in grave danger due to a lack of appropriate medical care. Saeed Shirzad's health has been severely affected by adverse prison conditions and several hunger strikes. In December 2018, a prison doctor's report suggested that the human rights defender's kidneys would fail completely if he did not receive proper treatment. The report recommended that Saeed Shirzad be immediately admitted to hospital. His family has also repeatedly requested that the human rights defender be transferred, but at the time of submission, the prosecutor had failed to permit him access to hospital. 10. Human rights lawyers who represent HRDs faced intimidation, harassment and in some cases prosecution. Many lawyers are currently in prison in response to their legal activities in defence of human rights. For example in October 2018, human rights lawyer Mohammad Najafi was sentenced to three years in prison and 74 lashes for ‘disturbing the state’ and ‘publishing falsehoods’ for his legal support to the victims of torture. 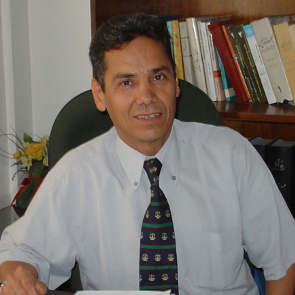 Although the prominent human rights lawyer Dr. Abdolfattah Soltani, sentenced to 13 years prison in 2012, was released in November 2018 he is banned from practising as a lawyer for 20 years. 11. Iranian authorities used legal tactics to limit the work of human rights lawyers. Although Article 48 of Iran’s Criminal Procedures Regulations guarantees the right of individuals to have access to a lawyer as soon as they are detained, a note on this Article provides for exceptions to its application in certain types of cases which usually involve HRDs, journalists and political activists. According to these exceptions, a list of approved legal representatives are only permitted to take on cases involving national security charges during the investigation phase. In these cases, judicial authorities can also delay an individual’s access to a lawyer by up to a week. The use of the exceptions provided in the note on Article 48 has increased since January 2018 following the arrests and detention of hundreds of protesters who participated in protests in several cities in Iran in December 2017 against corruption and deteriorating economic conditions. These exceptions have curbed the ability of independent human rights lawyers to freely represent political prisoners or HRDs. 12. WHRDs have paid a high price for their advocacy against different forms of discrimination against women in Iran. 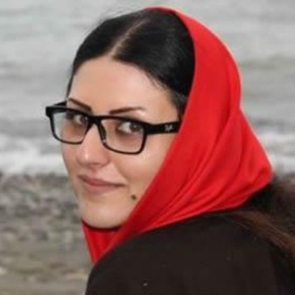 In October 2016, WHRD Golrokh Ebrahimi Iraee was sentenced to six years in prison in October 2016 for “insulting the sacred” and “propaganda against the state,” primarily for writing an unpublished story on the practice of stoning women to death for adultery that was confiscated during a raid of her home by the Revolutionary Guards. Many young WHRDs, including bloggers, who campaigned against compulsory veiling faced physical violence, detention and some of them were prosecuted and sentenced to up to two years in prison on charges of ‘encouraging moral corruption’. The human rights lawyer Nasrin Sotoudeh has been targeted mainly for her defence of persecuted and vulnerable women and her advocacy against the compulsory veiling in Iran. Human rights lawyer Hoda Amid was arrested in September 2018 and then released on bail pending trial after spending two months in detention. Before her arrest, she was active in organising educational workshops on the legal status of women in Iran. 13. Iranian authorities threatened and harassed relatives of detained and imprisoned HRDs. Maryam Mombeini, the widow of human rights defender and environmental activist Kavous Seyed-Emami, was placed under a travel ban in March 2018 in reaction to her pressure on the Iranian authorities to investigate the suspicious death of the human rights defender in prison. Members of the security forces interrogated her and raided her her home several times in 2018. In February 2018, the mother and sister of Atena Daemi were arrested and briefly detained after being beaten by prison guards with batons while standing in front of Evin prison to show their solidarity with the defender. In April 2017, the two sisters of Atena Daemi, Hanieh and Ensieh Daemi, received three months and one day prison sentences with a one-year suspended sentence on a charge of ‘insulting officers on duty’. This sentence came after the three sisters submitted a mistreatment complaint against the agents of the Islamic Revolutionary Guards Corps who used excessive force while arresting Atena Daemi in November 2016. An appeal court acquitted them in May 2017. 14. Iran's ethnic and religious minorities have long suffered extensive discrimination in the enjoyment of their civil and human rights. Religious and ethnic minorities rights defenders faced several types of intimidation and harassment. According to Article 13 of the Constitution, the only recognised religious minority are Christians, Jews, and Zoroastrians – which in practice limits the exercise of freedom of association, including for non-religious purposes, by individuals belonging to other religious groups. HRDs who work for the rights of Baha’i community were detained, fired from their jobs and were banned from education or employment in the public sector. For example, in May 2018, the Appeals Court of Isfahan upheld the sentencing of Baha’i activists Sohrab Naghipoir to five years in prison and Mohsen Mehrgani, Manouchehr Rahmani and Farzad Homayouni to 20 months in prison. They were arrested in January 2019 and transferred to Isfahan Prison to serve their sentences. They were charged with ‘membership in an illegal organization for the intent of acting against national security’. In May 2018, three Arab ethnic rights defenders, Issa Dammi, Hossein Heydar and Mojahed Zargani, were sentenced to a year in prison in response to their activism in the field of cultural and linguistic rights. 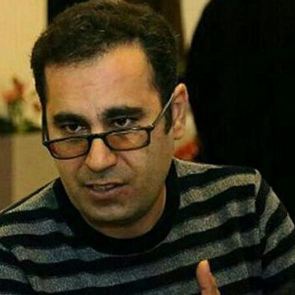 In July 2018, the Azeri HRD Abbas Lesani was detained and then charged with ‘acting against national unity’ and ‘propaganda against the state’ for his public activities on the linguistic and cultural rights of the Azeris in Iran. Cooperate with the UN Special Rapporteur on the situation of Human Rights Defenders and other special procedures mandate holders, in particular the Special Rapporteur on the situation of human rights in the Islamic Republic of Iran.